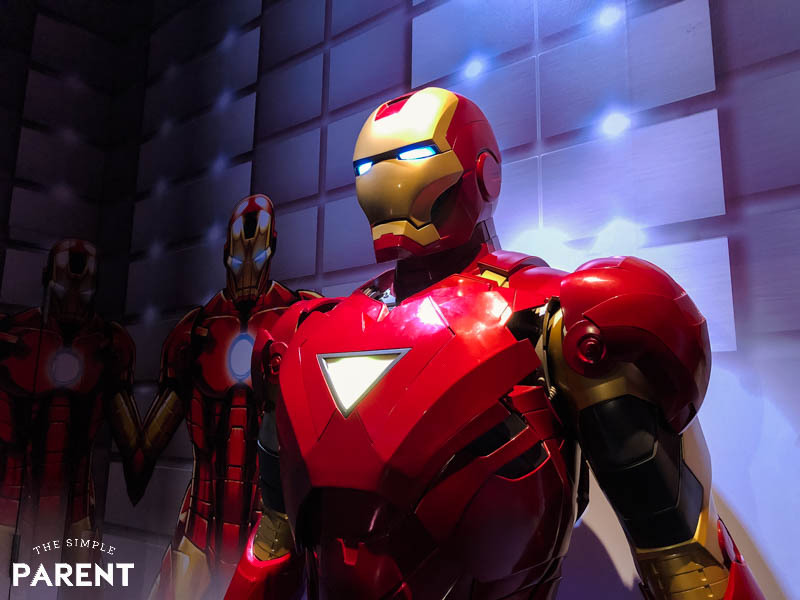 Home » Travel » Experience the World of Marvel at Madame Tussauds Hollywood! 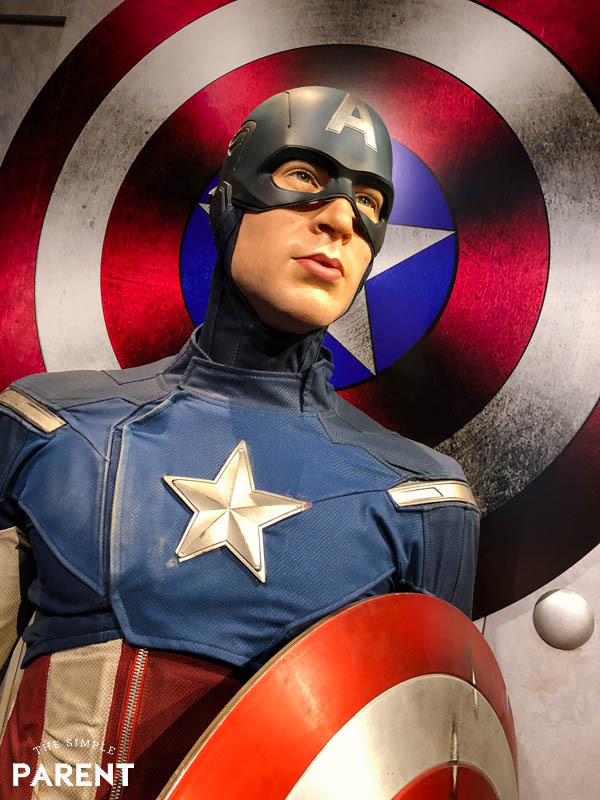 If you’re a Marvel fan and you’re headed to Madame Tussauds Hollywood, you’re in for a treat! 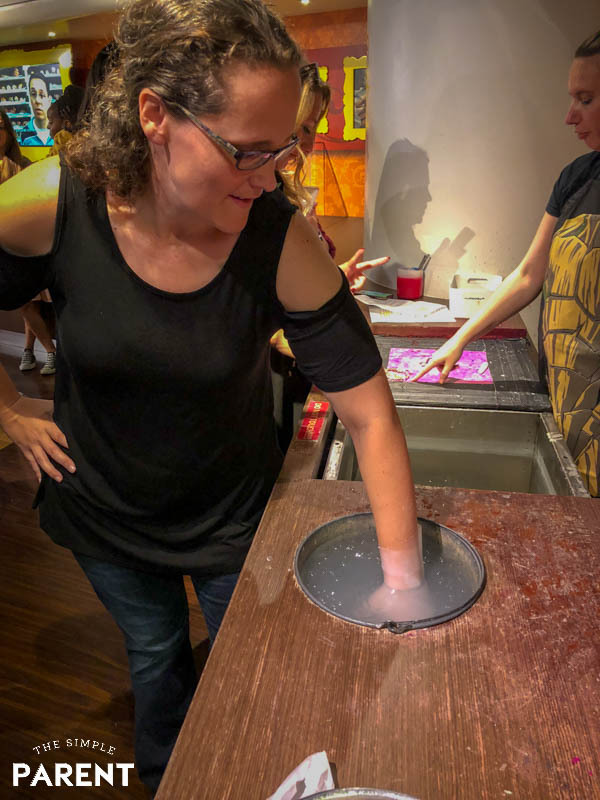 I’ve got a peek into some of the amazing things happening at the wax museum and things you should see when you visit (including the experience of making a wax hand which should definitely be on your bucket list!). Thanks to Disney for hosting me as part of this press event in exchange for my coverage. 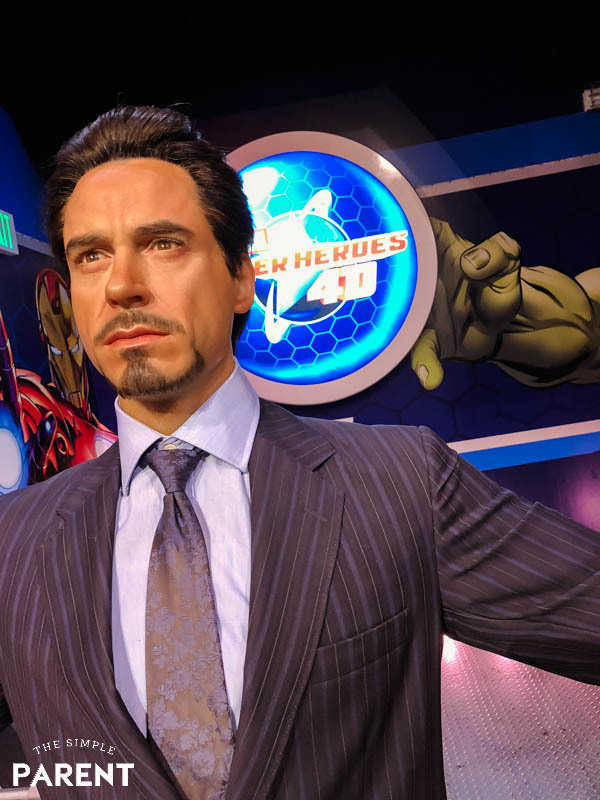 On my very first press trip back in 2012, we visited Madame Tussauds Hollywood. It was only fitting that I mark my 10th trip for Disney with a return the place where I made my debut! I was excited to get another chance to visit the museum and see what was new! 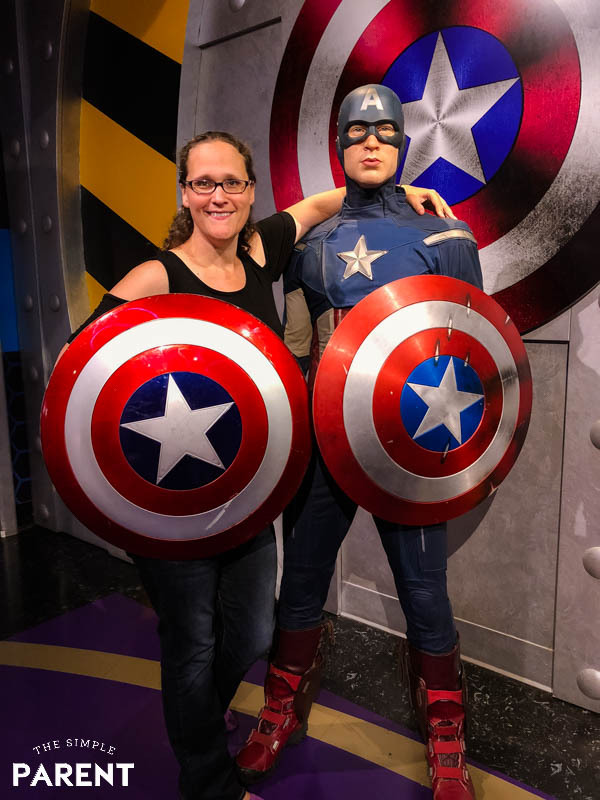 It’s an amazing new way to experience the world of Marvel at Madame Tussauds in Los Angeles! I highly recommend the wax hand experience! It was such a fun experience! It’s definitely the way to go! 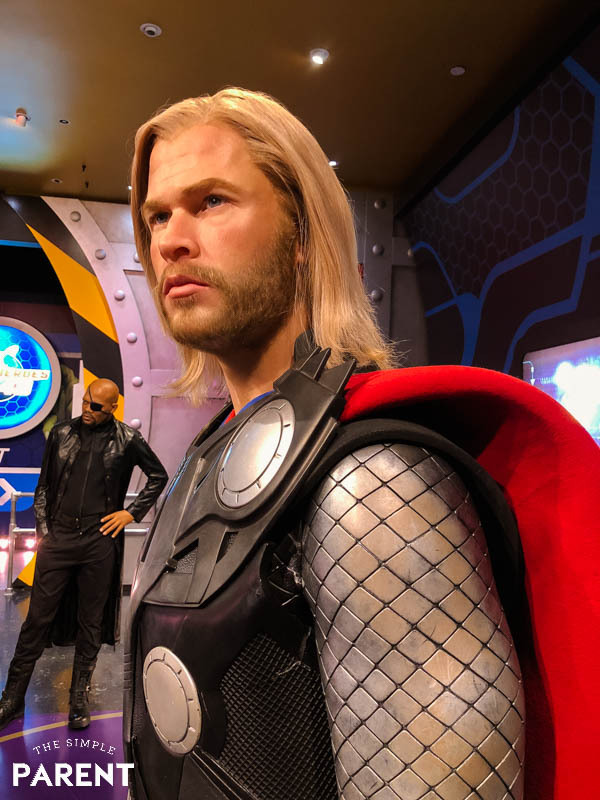 To learn more about all of the Madame Tussauds Hollywood ticket options, check out the tickets page. The standard Madame Tussauds hours are Monday – Sunday, 10 am – 8 pm. But they sometimes offer extended hours from 10 am – 10 pm. The hours may change depending on the time of year and day of the week. Plan your visit using the opening hours calendar on the website. 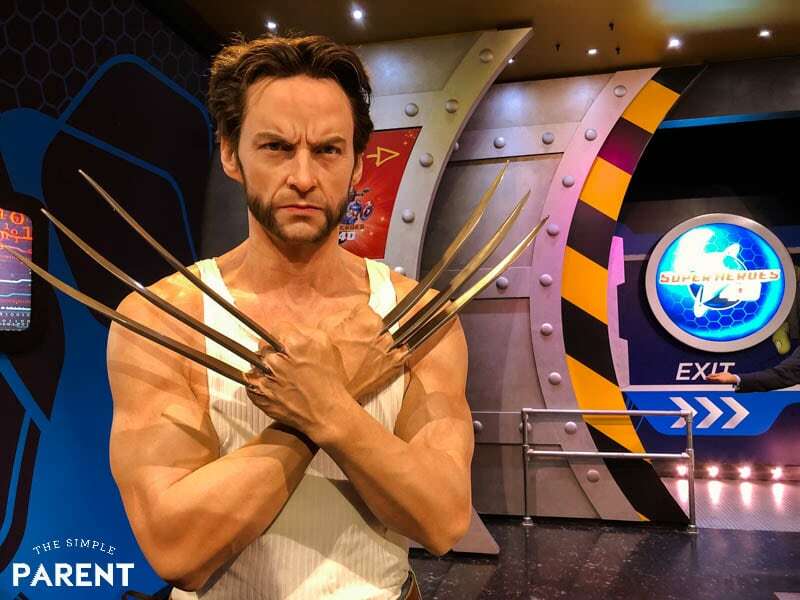 You can either purchase the Ultimate Experience Package Madame Tussauds tickets or you can pay to do the wax hand experience when you get to the museum. 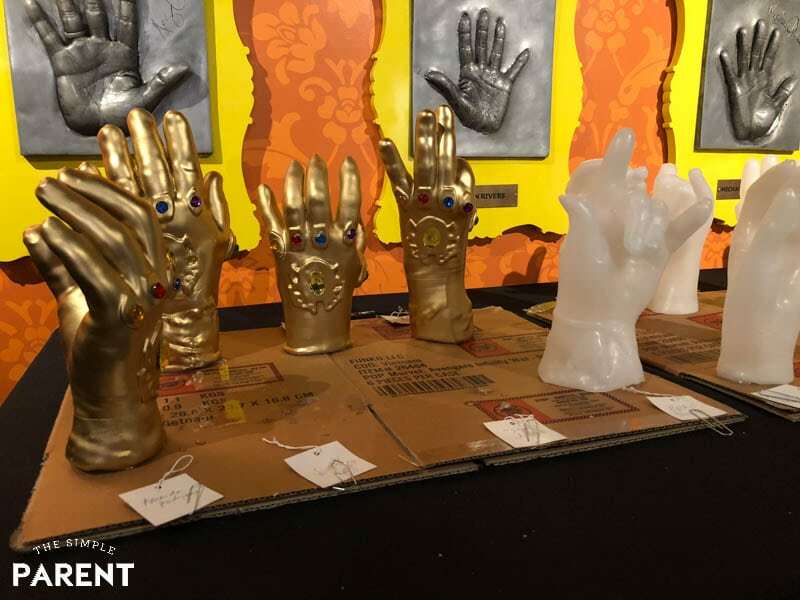 Because we were visiting Madame Tussauds museum to learn more about Avengers: Infinity War, our wax hands were no ordinary wax hands! We were able to create our own Infinity Gauntlet! You can learn even more about Avengers: Infinity War in our Trinh Tran interview! In the photos, you’ll see what the wax hand typically looks like. You can pay additional to have a color added to your wax hand as well. The wax hand experience is really a simple process but it’s also kind of intense. It’s not painful but there were moments of discomfort. The process went like this — dip your hand in ice water for 30 seconds (until your bones ache basically), then dip your hand in wax. And repeat. You dip back and forth between the ice water and the wax two or three times until the wax is thick enough. Before you start they coat your hand in lotion so that they can slide the wax hand off of your hand when it’s complete. 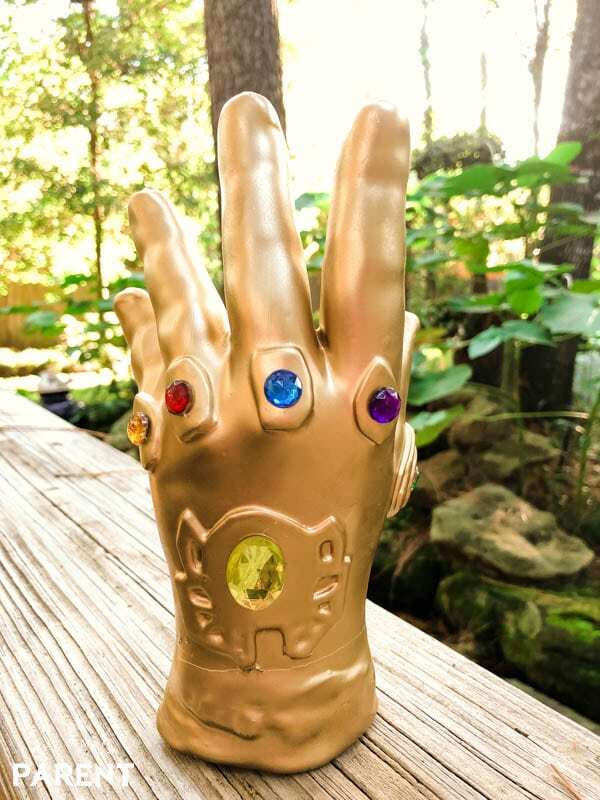 Once my hand was free again, the experts at Madame Tussauds took it off to transform it into my very own custom Infinity Gauntlet. My kids think I’m pretty cool. I have to admit it’s one of the best souvenirs I’ve ever gotten. Oh, and the wax is very thick and feels pretty durable when you get the finished hand. I carried mine in my backpack when I got on the plane home and it made it home without a blemish! 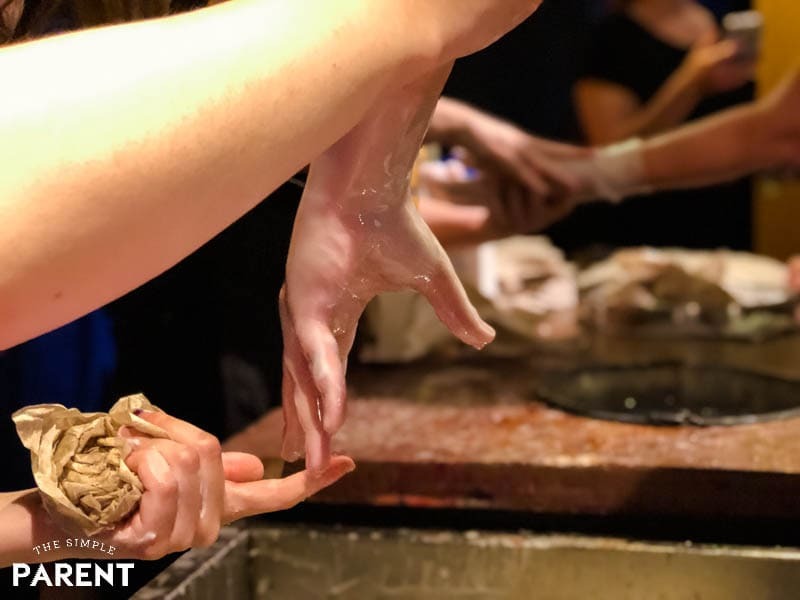 In addition to the wax hand experience, you can also spend as much time as you need to exploring the different themed rooms of wax figures. I spent most of my time exploring all of my Marvel favorites as I hadn’t experienced that yet. But there are so many different wax figures and photo opportunities through the museum. Virtual Room – Here you can experience one of the world’s only collaborative virtual reality games! 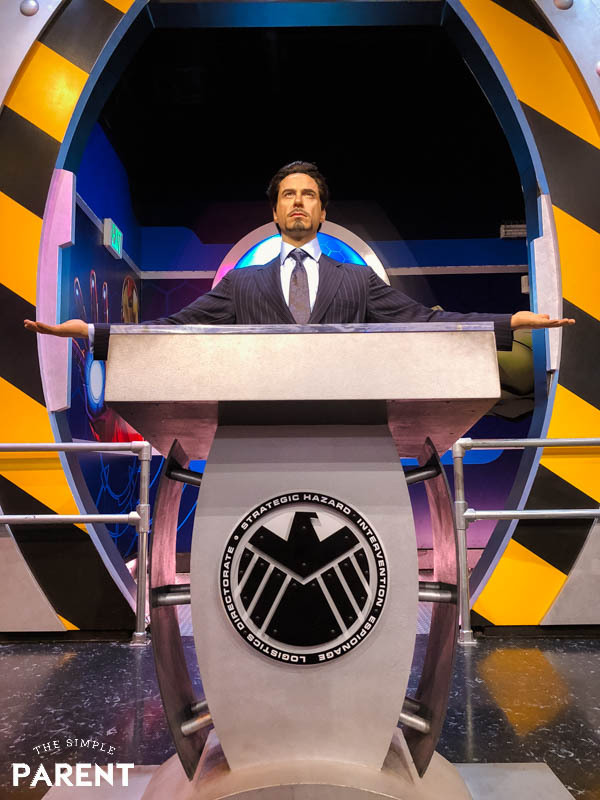 So be sure to plan a trip to Madame Tussauds Hollywood the next time you’re in the Los Angeles area! It’s a fun thing to do when you’re visiting the area! You’ll have a great collection of photos to take home and show off too! « School Snack Ideas for Kids That Make Great After School Snacks Too!